You can approximate the exact solution numerically by using the vpa function. 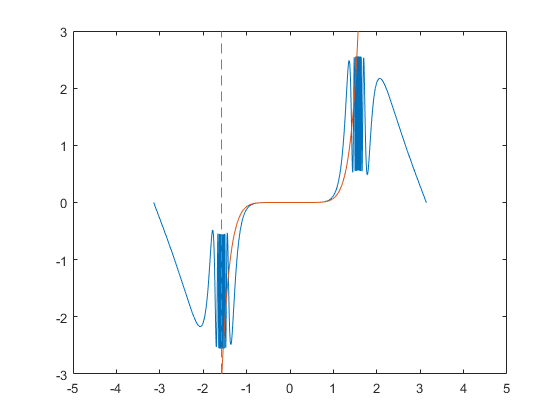 The plot of the expression f shows that x = -0.189 is a local minimum of the expression, and x = 1.286 is its local maximum. 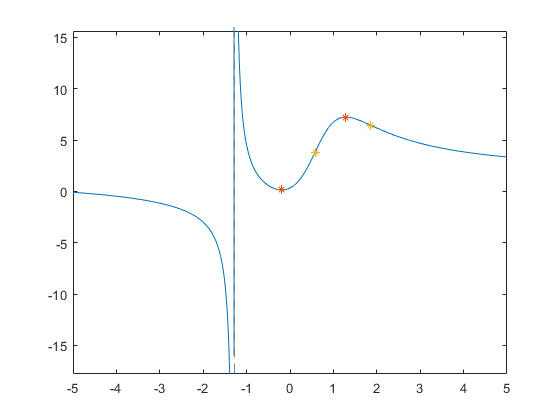 Computing the second derivative lets you find inflection points of the expression. The expression f has two inflation points: x = 0.579 and x = 1.865.
is very flat at the origin and it oscillates infinitely often near -π2, becomes linear as it approaches zero and oscillates again near π. What is happening at π2? 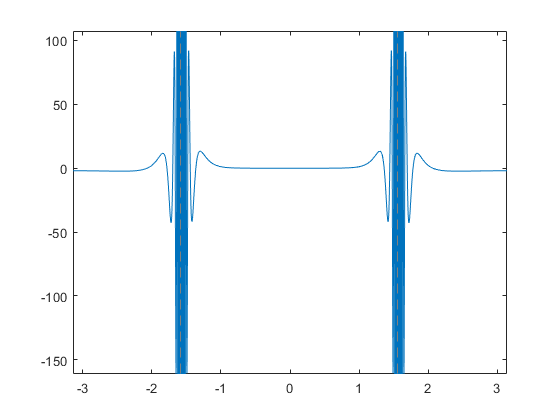 MATLAB uses double precision arithmetic, so π2 evaluates to one of the oscillations. The Symbolic Math Toolbox uses exact arithmetic, which shows the function is undefined. We can also try to look at the value with a Taylor Series. We learn in calculus that a maximum occurs at a zero of the derivative. 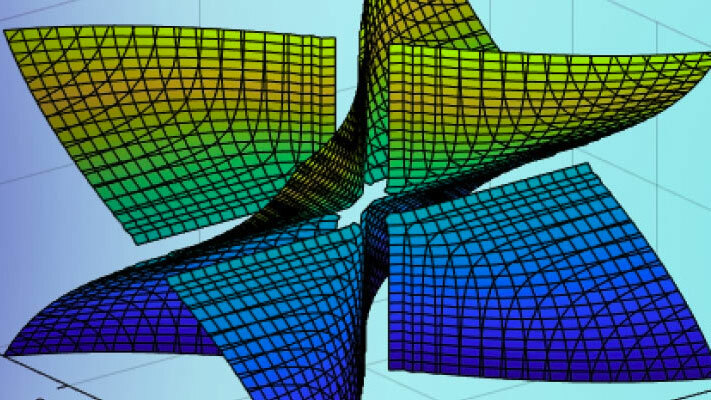 But this function is not differentiable in the vicinity of π2. We can analytically differentiate f(x) using the Symbolic Math Toolbox. We can sample the function N times near π2 to get a numerical approximation to the value of the maximum. Is that good enough? Determine the maximum from a mathematical proof. Now we can take a look at the numerical value.